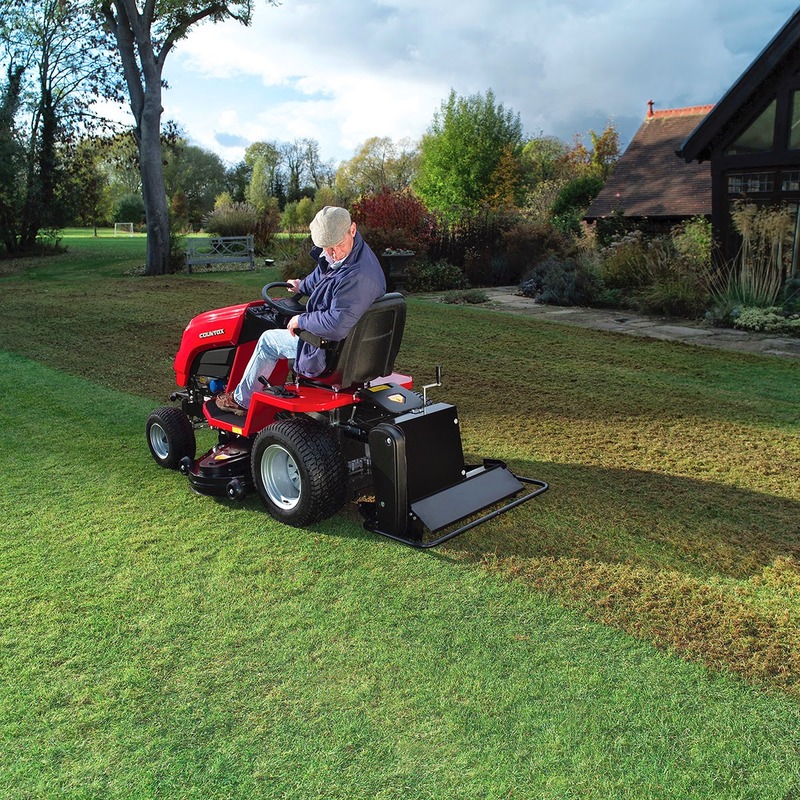 Scarifying can leave a bit of a mess but done at the right time the long-term effect will be beneficial and the debris can be cleaned up using the collector on the garden tractor, where the brushes will also ‘groom’ the grass. To give the lawn a good boost a treatment of weed and feed with a 3 in 1 proprietary fertiliser and weed killer will kill moss and weeds while greening up the grass. Rake out areas of dead moss and apply some grass seed if there are bald patches. Top dressing will help to restore the lawn after scarifying and serves to fill in hollows and promote new growth. Choose a warm day to top dress, using a ready-mixed bulk dressing such as Rolawn for large areas or you can make your own with a mix of sieved soil, fine garden compost and sharp sand in a 3:2:3 ratio. If you have prepared for a new lawn but it’s not yet seeded, lightly rake the area before sowing and water thoroughly if no rain is forecast. New turf should be laid before the weather becomes too dry, to allow the roots to take hold, and fill with soil any gaps that appear. It’s handy to keep a ‘patch’ pack of seed available for seeding any bare areas on the lawn during April when conditions are ideal for rapidly growing back the grass. Mix the seed with some sifted soil and give the area a watering, using the watering can.